Although there are many homeschool math programs available, there are not very many high quality interactive programs around that I can recommend. 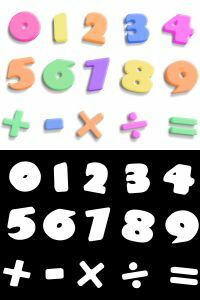 Today I'm introducing the A+ Tutorsoft 3rd Grade Math curriculum that I just finished reviewing. If you want an interactive multimedia program complete with lesson plans, workbook pages, lesson plan guide, along with answers to all problems including quizzes and exams, then the A+ Tutorsoft program is for you. The 5 minute demo/tutorial that plays at the beginning of the program explains everything that you need to know about how to get started and use the program. Parents can print any of the workbook or exam pages or order them from the company and have them sent to them at a cost. This gives lots of flexibility. The menu bar gives access to all parts of the program in an easy format. The table of contents menu is at the left side of the page and shows all sections in one place. There are 15 chapters/subjects included in the 3rd grade program that I reviewed. The lesson plans break down exactly what to do during each week making it an easy program to follow. A parent doesn't have to use the lesson plans, but they are available. The lesson plans cover 29 weeks with breaks included. The exams contain 25 questions each and there is an online placement test that students can take at the beginning or end of a school year. The premium program also has parental control which allows parents to control whether they want the child to have access to answer keys and solution guides or not. They can hide/unhide the answer keys and solution guides at anytime. It also has weekly Certificate of Accomplishments. Students can see their weekly accomplishments in “Certificate-like” format. This is helpful and very encouraging for the students as they get “certificate of accomplishments” for all their good and hard work. It’s a good way to recognize them on a weekly basis. If you want this option, be sure to select the Premium program. This is one of the comprehensive homeschool math programs that makes it easy to understand the lessons because of the audio, video, and text all combined into one program. This takes the pressure of teaching off the parent. The parent can just be available to help with questions if needed. Since Math is taken care of, the parent can focus more time on other subjects. Lesson plans all mapped out for the parent. Answers are not just listed, but spelled out in a step by step format so student can see how to do each problem. Option to listen to lessons or read on own. Interactive question and answer sessions with encouragement when student gets answers right. Facts practice available on an extra disk although there is some practice in the interactive Q&A sessions. Must have internet access on your computer to activate. Most families have internet access, so this shouldn't be a problem for most. The 3rd grade program disk and the rest of the homeschool math programs (5th, 6th, Pre-Algebra, and Algebra 1) are all available on the website. Parents can purchase the multimedia program with step by step solutions or the full premium curriculum which includes interactive flash cards. All the programs are available on their website! More homeschool math programs reviewed . . . I hope this review has been helpful and that you can see that this is one of the homeschool math programs that makes the grade in my book. As with any of the homeschool math programs, parents need to make sure they know what their child needs, what they can afford, and whether the program they choose will accomplish these goals in an organized and understandable way. 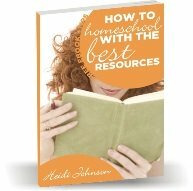 You can check my other pages for more homeschool math curriculumreviews and suggestions.